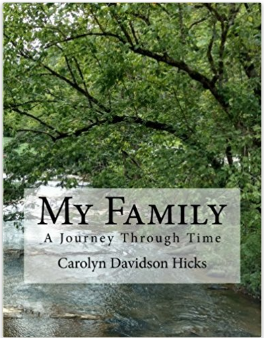 My family, a journey through time is a genealogy book and a story book. You will read of our Appalachian life. You will learn how the research was done, from finding the paper trail, to how DNA was used to confirm each family line. Packed with stories, discoveries and culture. Surnames heavily researched on each family lines were Parker, Davidson, Collins, Napier and Sizemore. There are over 4,000 names and 800 families listed, and all connected to each other. This book includes 1,560 sources. This is the “1st Revised Edition” May 26, 2018!